Back-to-school shopping is in full swing for many people, and you’d think this would be the time when all the new computers and gadgets are rolling out. Sure, Microsoft released new Surface Pro tablets a few months ago and Apple just did a minor refresh on its MacBook Pro laptops, but the big new releases typically arrive in stores just before the winter holidays. Now, just how soon before the holidays can vary, but here are some tips to keep in mind as you get ready for your next shopportunity. PC makers are all over the map in terms of release, but many companies put out new desktop and laptop models around Windows upgrades. This is an off-year for that habit, though, as Windows 9 isn’t really expected until 2015. So take a look back to when your preferred manufacturer last released new models. The companies need to keep people buying product and most won’t go more than a year without some sort of update to the line. If you don’t remember when the last round of new stuff came out, check the media area of your preferred PC manufacturer’s website and look up the old press releases — the dates should be right there. 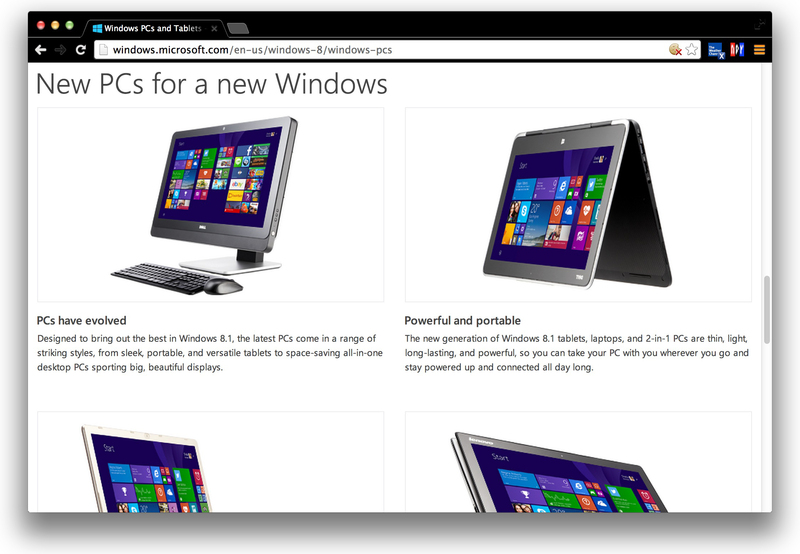 Microsoft’s site also highlights certain new models of interest throughout the year. Hot new Android phone and tablet hardware also tends to arrive on the heels of a major OS update. Android L, the next version, was previewed at the I/O conference in June and is expected later this year. (Last year’s KitKat and Nexus 5 phone landed as Halloween treats, remember?) Android-focused blogs and gadgets sites often get wind of pending releases, so bookmark AndroidCentral.com, 9to5Google.com or a similar source to keep you on top of events concerning the little green robot. Apple rumor sites have practically become a cottage industry for news about the iEmpire, and often tip off the world to coming-release timeframes. For that kind of info, iLounge, 9to5Mac, AppleInsider, Re/Code and BoyGeniusReport are among the many watchdog sites worth watching themselves. These sites are also on top of new operating system updates for iOS and OS X, if you merely want to upgrade the software on your current, perfectly fine hardware. 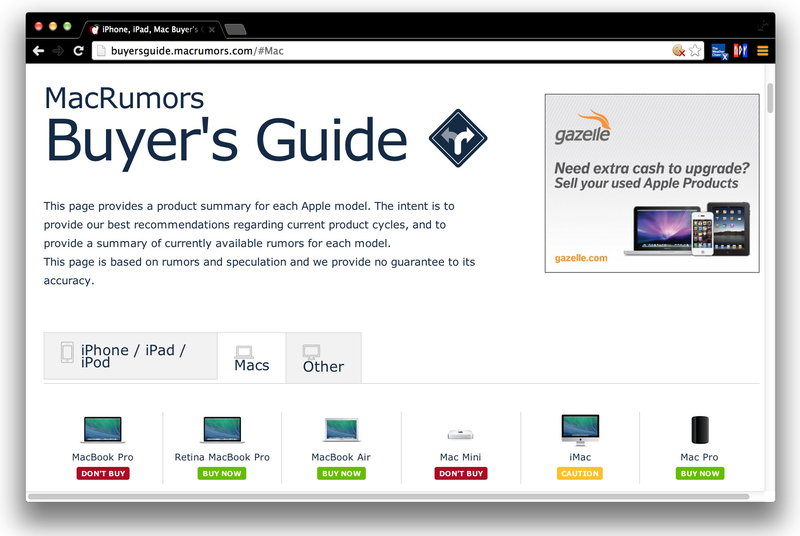 When it comes to buying your new Apple hardware at that perfect time – meaning not two days before Apple goes and releases all-new models — there’s one site in particular worth looking at: The Buyer’s Guide over at MacRumors.com. The guide has been around for years and keeps close tabs on when Apple releases new iPhones, iPads, iPods, Apple TVs and Macs. The information is detailed very nicely on the site so you can see how long it’s been since a version of the product was released, and plan your shopping trip accordingly. With Apple, pattern recognition can pay off. After releasing the first three versions of the iPad in the spring, the company has shifted its new iOS gear to the fall months as of 2012 – lately, it’s been iPhones in September and iPads in October, with any new iPods, iTunes updates, Apple TVs and random laptops mixed in as well. If you don’t care that your hardware is a generation out of date, Back to School time can be a gold mine, as some wireless carriers will bundle older models with new purchases in an attempt to clear shelf space. For example, Sprint is currently selling 16-gig iPad Mini tablets for $50 when you purchase an iPhone 5s or 5c. If you don’t need the latest and greatest, look around now. If you can’t help yourself and buy something — only to be in geek tears when a new model comes out the next week —keep in mind that most places give you at least 14 days from your purchase date to return an item. The Apple Store, Best Buy, and Amazon all have their return policies posted, as do other companies, so check it out. Then enjoy your new hardware and rest assured that you probably have at least six weeks before all the rumors start up about next year’s model.